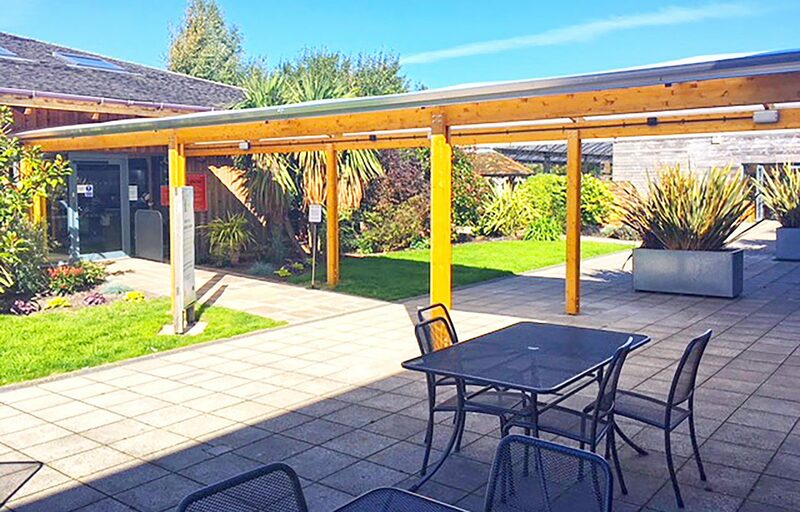 The Southport site added a soft play building to keep children entertained. 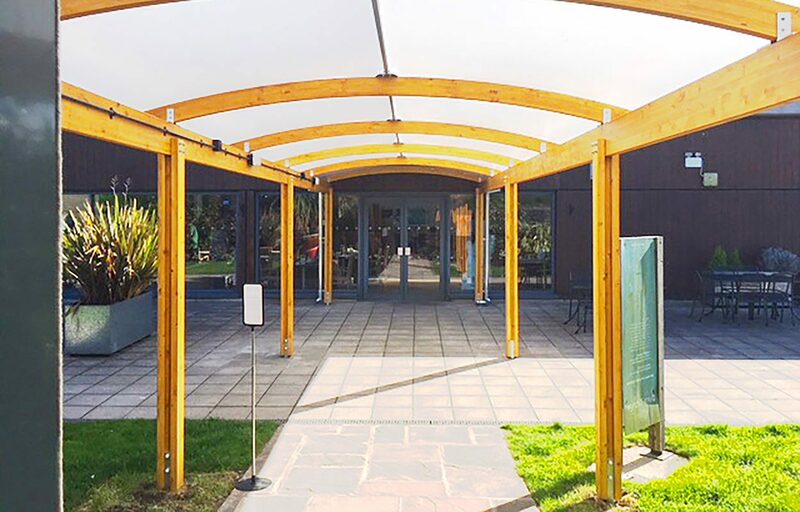 The walkway designed and installed by Fordingbridge is an ideal solution to protect their customers from the elements and guide them from the restaurant to the soft play building. 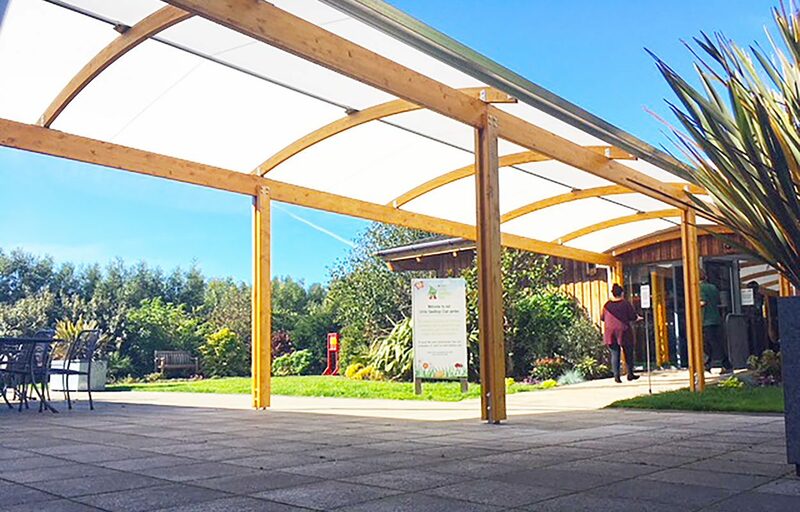 An Opal 60 fabric roof covering completes the structure. 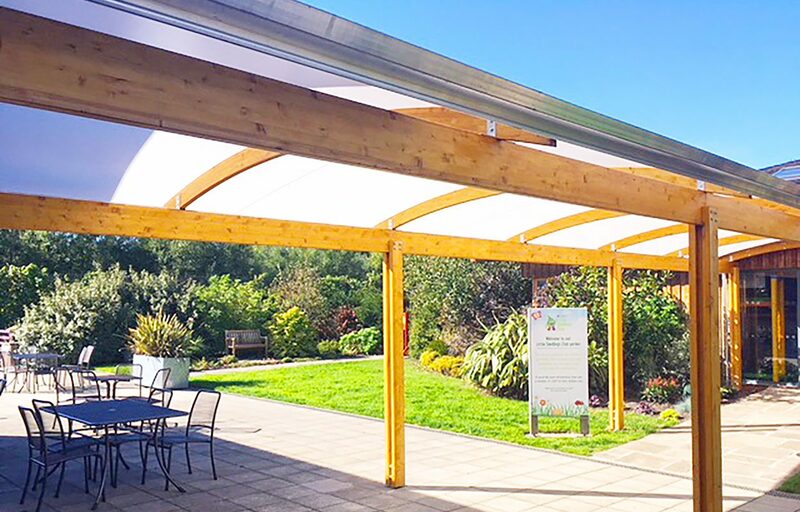 This fabric roofing solution has been developed exclusively for Fordingbridge and is known for its longevity, high tear strength and fire resistance.